ClassHook is a database of video clips from tv shows and movies that are organized by subject, show, or grade level. When you create an account you can save clips, add prompts, and add discussion questions. Life allows you to search through more than a million photographs that span more than 150 years. Many of the photographs are being published for the first time ever. The Library of Congress offers classroom materials and professional development to effectively use primary sources from the Library's vast digital collections in their teaching. Find Library of Congress lesson plans and more that meet varying standards. 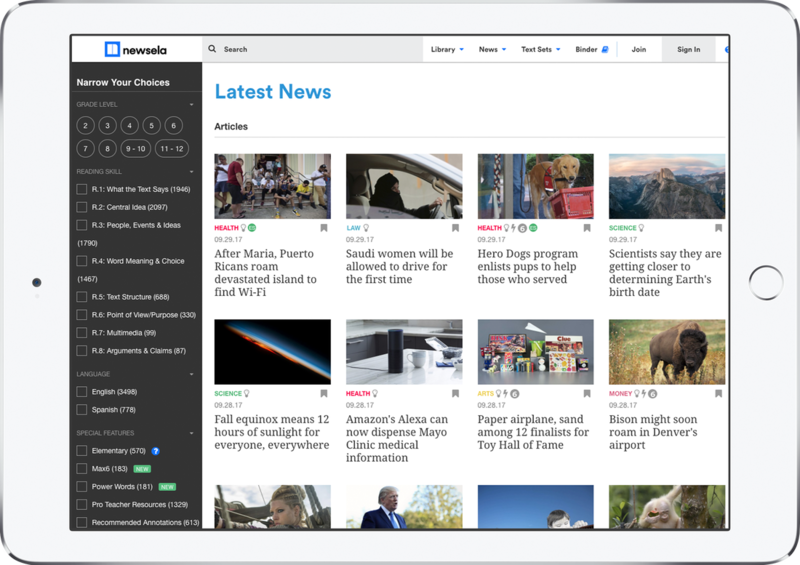 NewsELA has a variety of articles on a number of topics for grades K-12. 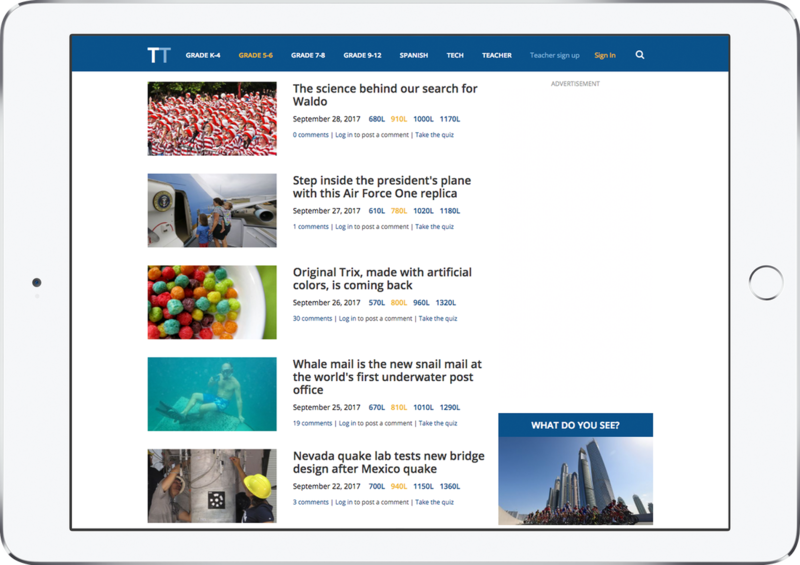 NewsELA also has a search sidebar that lets you filter by grade, reading skill, language, and more. You can adjust the reading level, highlight and annotate text, complete vocabulary activities, and take a quiz. You can also create Text Sets (which allows you to save articles and share the link). You do have to login to access the articles. CommonLit offers complex texts for 5th-12th grade. You can search through topics, theme, genre, literary devices, and Common Core State Standards. ​They have a “Download PDF” option, which includes the article, questions, and discussion questions. You don’t have to login to access the texts/features. You do have to login to access the teacher guides. 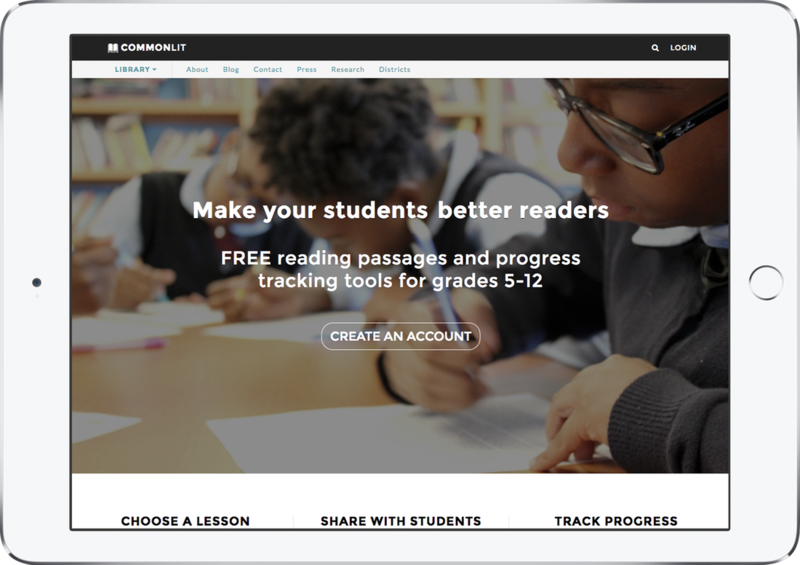 A teacher account is free and allows you to assign texts, review student work, and more. ReadWorks.org has a sidebar search which allows you to find articles by grade. Once you open an article, you can view details about the text. ​You can save articles and assign them to students, as well as print out the articles, vocabulary targets, and question pages. You do have to login to access the full article, but you can search for articles without logging in. TweenTribune includes articles for K-12th grade. They search for relevant articles on the web and then modify them for a variety of Lexile levels. There are advertisements on the site, which might distract students if you want to read the article from the browser. The advertisements don’t show up in print view, though. You don’t have to login to view the articles, but you do have to login to access the quizzes.